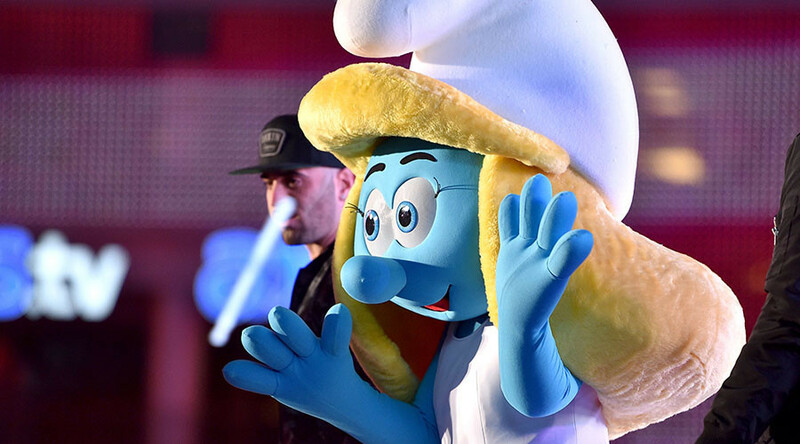 A fictional, blue-skinned animated character in the children's cartoon ‘The Smurfs’ has been censored from film posters in Bnei Brak, an ultra Jewish Orthodox city in Israel because she resembles a woman. Adventure animation ‘Smurfs: The Lost Village’ is due to hit the cinema screens on April 7, with promotional material already launched in cities around the world. However, the Belgian comic’s female character Smurfette has been dropped from posters in Bnei Brak, Israel, over fears her gender may offend residents in the city, report Haaretz. They removed the female from posters in Bnei Brak, Israel to not "harm residents' sensibilities." The city, located east of Tel Aviv, is noted for being extremely religious and does not allow the depiction of women on advertizing billboards, according to local reports. Smurfette, who sports long blonde locks, a dress and high heels, was originally the only female character in an almost 100-strong cast of miniature blue forest dwellers. She features alongside male smurfs Hefty, Brainy and Clumsy in most promotional images but not in Bnei Brak. The film’s distributors, Forum Film, has explained that a PR company decided not to hang the original movie poster which includes Smurfette in Bnei Brak so not to insult local sensibilities. The Israel Religious Action Center, which aims to promote “progressive Jewish values,” described the censorship as “absurd”. Originally hitting television screens in the 1980s, The Smurfs is about an almost entirely male band of blue creatures living in a magical mushroom village, who desperately try to avoid the clutches of an evil wizard, Gargamel. Ultra Orthodox rules have also seen pictures of well-known female figures like Hillary Clinton, censored from Israeli publications, report AP.